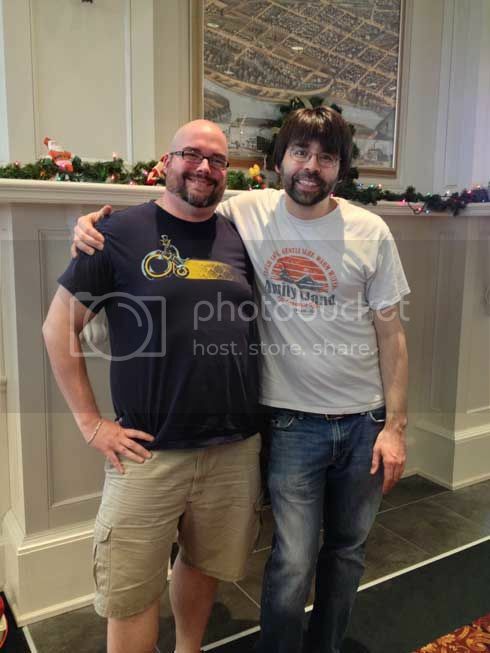 from my bookshelf: I got to meet Joe Hill!! I got to meet Joe Hill!! This past weekend, I drove down to Dayton, OH with some friends to meet Joe Hill, who is touring for his new book, NOS4A2. I have a complete signed Joe Hill library thanks to my sister, who usually goes to his signings in Portland for me when he's on tour, but since he was close enough to me this time around, I decided to finally meet him in person. And you know what, he's awesome. And genuine. And funny. And just an all around great guy. So, thanks, Joe, for making my weekend! !